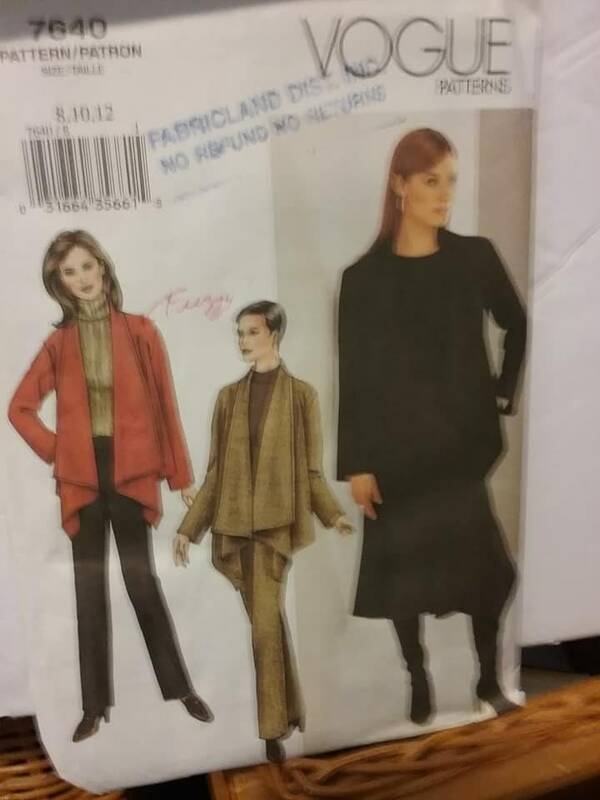 Vogue pattern 7640, jacket, pant and skirt. 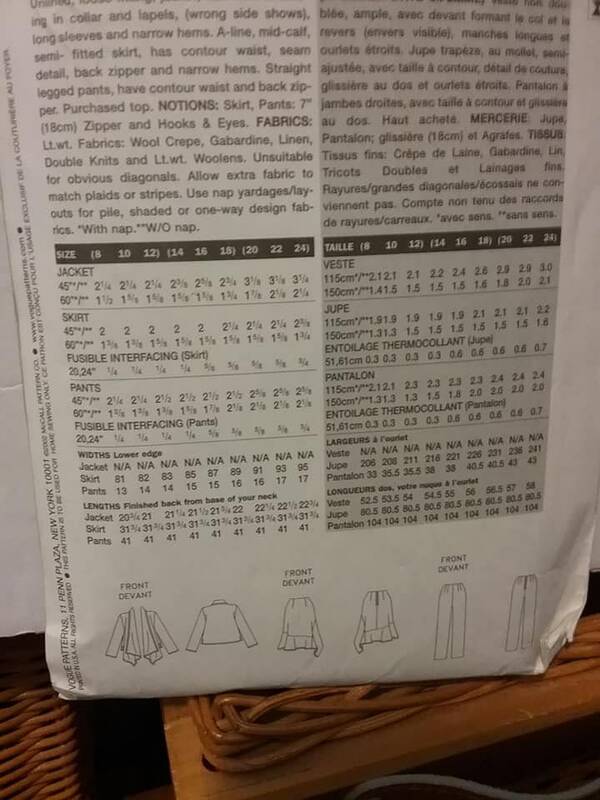 Modern asymmetrical style large collared jacket, sizes 8, 10 and 12. Designated as, easy. Printed in New York.